I love kids clothes - my favourite are the colourful, comfortable, happy ones with bold colours and graphic prints. My kids have their own ideas though - so ideally we meet in the middle somewhere. 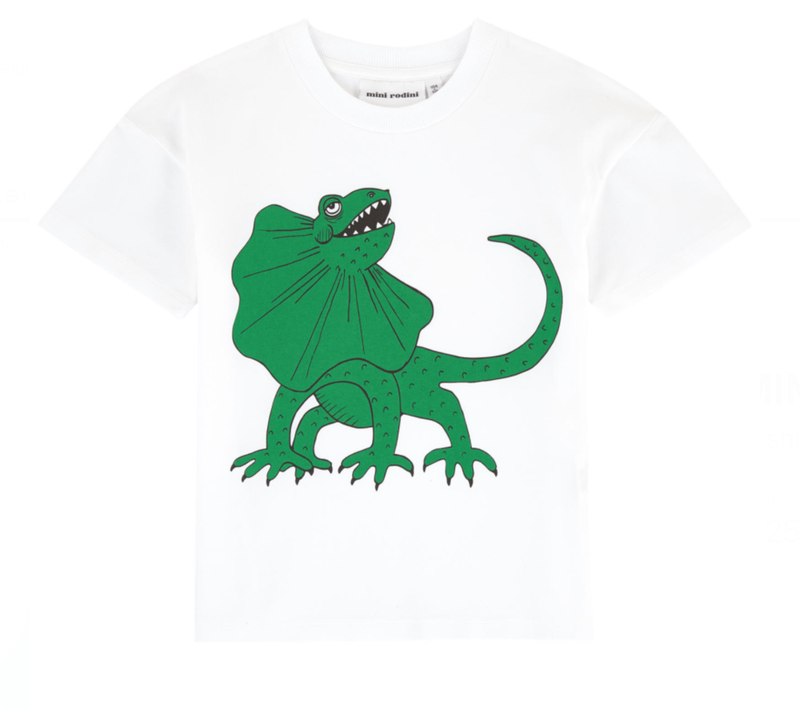 My son is more relaxed and will pretty much wear anything I put him in but he does have favourite clothes and will often request certain items like 'the top with the lizard' (he loves lizards) and will refuse to wear anything 'that is for girls'. I also prefer to get good quality, ethically and sustainably produced clothes for them. There are some brilliant socially and environmentally concious kids brands around at the moment that do not compromise on design, style and color. Plus I love being able to hand clothes down to friends/relatives and charities, and the better quality they are in the first place the longer they can be worn for. Melijoe is an online retailer who stock a massive range of (and all my favourite) kids brands (over 150 of them!) and where I often discover new up and coming, interesting and innovative designers. It is also a great site for both investment buys and more affordable pieces. Some of my favourites include Mini Rodini who are a Swedish brand that was founded by illustrator Cassandra Rhodin in 2006 as a tribute to all children and their sense that everything is possible. 100% of their cotton is organic and GOTS certified, they are committed to sustainable and fair trade fashion. The quality and designs are brilliant and so fun. And one of my all time favourites is Stella Mccartney Kids, I just think she gets it so spot on every time - always the right side of fun for kids but surprising and inspirational. And as with her womenswear her kids collections are at the forefront of sustainable, fair trade fashion. Melijoe's service is also absolutely excellent, delivery is super fast. If you order before midday the box comes the next day (and it even did during the snow we recently had). Plus you can call them on the phone if you have a question or need help which is often not possible with some online retailers. The site is easy to use and returns are simple. As we are heading into Spring I have invested in some medium weight bomber jackets for my kids. My son's is by Mini Rodini one - it is so cool! and has an embroidered lizard on the back, my daughter's is by Stella Mccartney Kids and is reversible. I also got them some pieces from the new Mini Rodini lizard collection (as as I said they love lizards!). I've also go them some Adidas (velcro straps so they can do them up themselves). Which look cool with all outfits. I am expecting these clothes to be worn a lot, washed a lot and well loved - which is the ultimate compliment. This post was kindly sponsored by Melijoe.com who are a website I spend a lot of time (and money) on and absolutely love. All thoughts and ideas are entirely my own - or my kids.